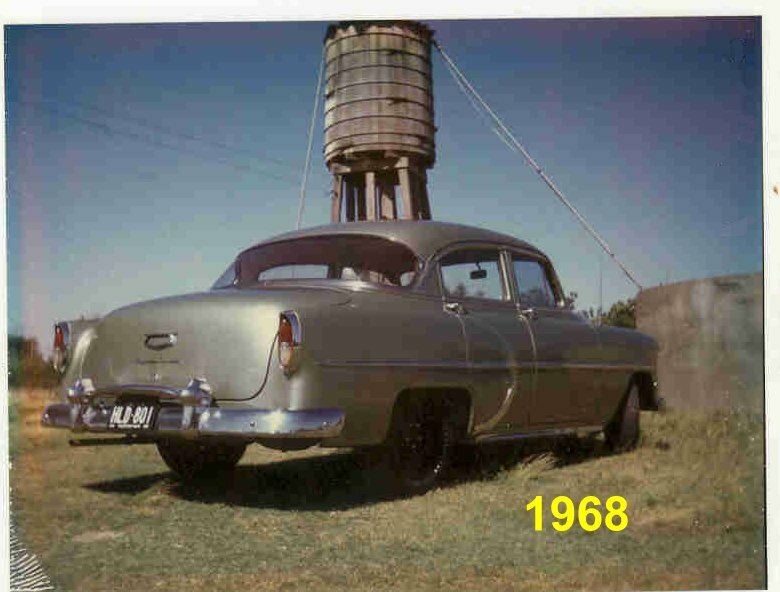 This page shows some photos of various Chevy's that our website viewers have submitted. It is great to show these pictures. I appreciate you sending them in for all of us to enjoy. 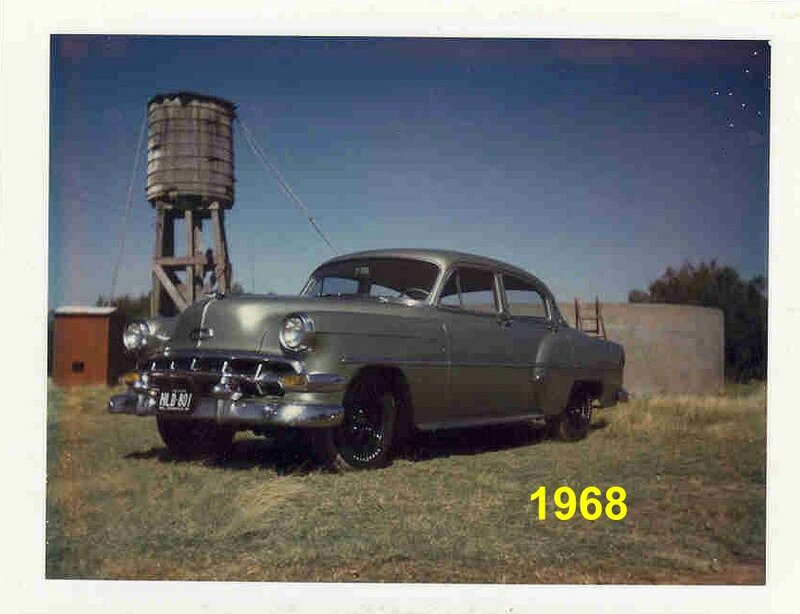 If you have some pictures or stories about your Chevrolet, send them to us via email. 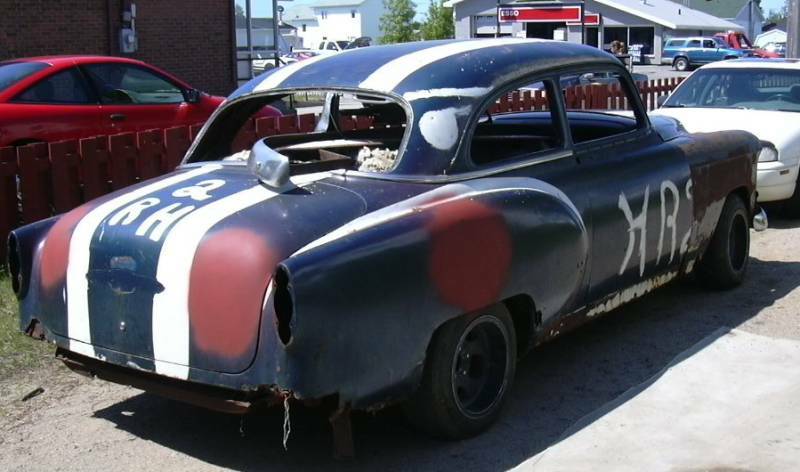 We would like to see them, old, un-restored, sad shape, good shape, or any shape! Thank you to all of you who have sent them in. 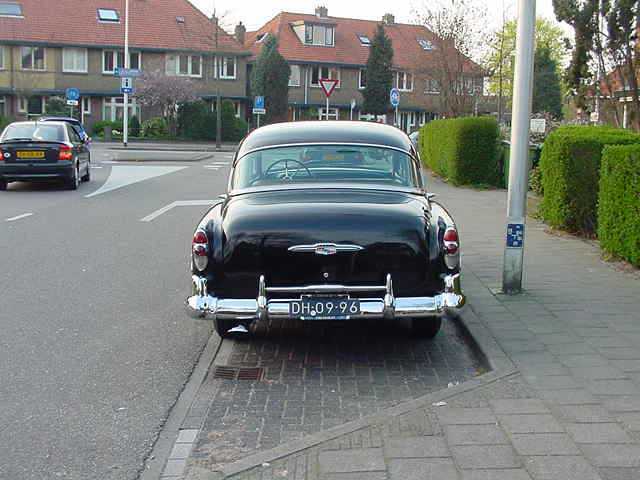 bought the car 1958! It's a real eye catcher. 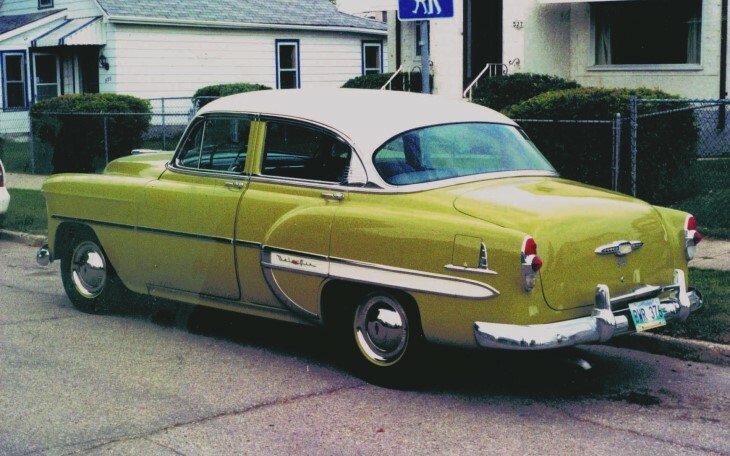 When I got my driver's license in 1967 at age 14, my dad cooled off my "new car" dreams by buying me this sad, old '54 Chevy in nauseating Surf Green. It cost him $150. I promptly wrecked it, necessitating replacing the hood and front fenders with a cream-colored set, making it an "unauthorized 2-tone". Becoming attached to "Old Paint", I had it painted a metallic medium green. Painting the wheels black and adding chrome lug nuts, at least it LOOKED like a hot rod. J With new seat covers and carpet from J.C. Whitney's, repainting the door panels, and a new leatherette headliner, I had a "new Chevy" that served me well for 4 years of high school and the first 2 years of college. I had since taken "Old Paint" in again for refinishing, this time in a "kinda YELLER" tan. 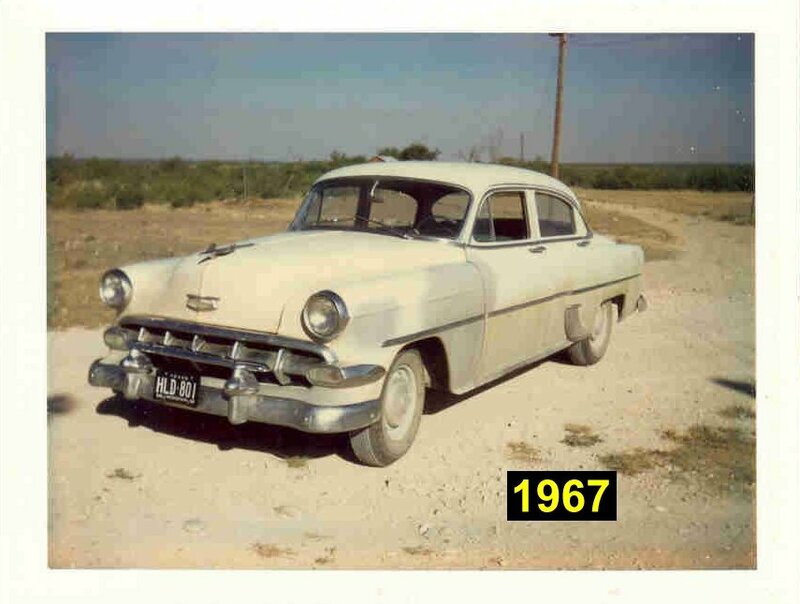 By 1973, I bought my first NEW car and garaged the '54 at the ranch, vowing to drive it "occasionally" to keep the battery up… but you know how that goes. (sigh) For 30 years (!) 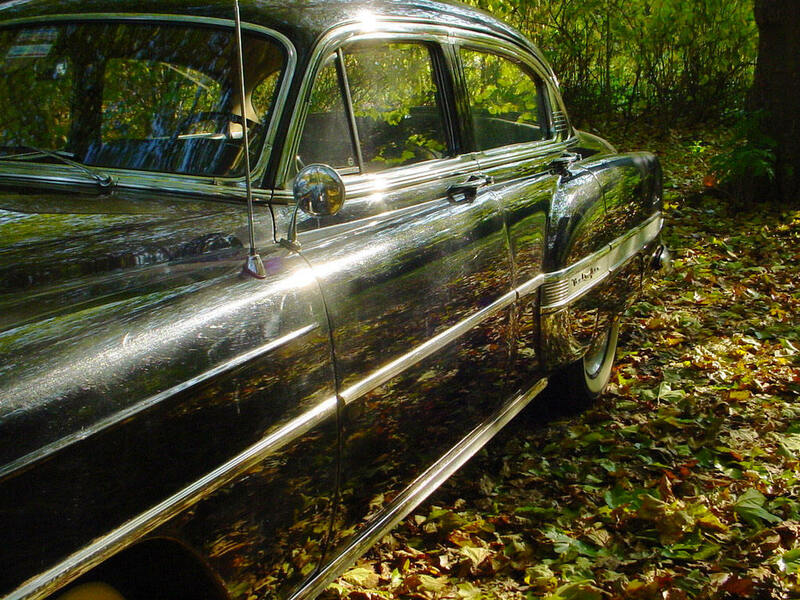 the car was in suspended animation, gathering dust in my barn, rarely running. When my cousin Larry finally talked me into selling him the car in 2003, it needed lots of work because of my neglect. 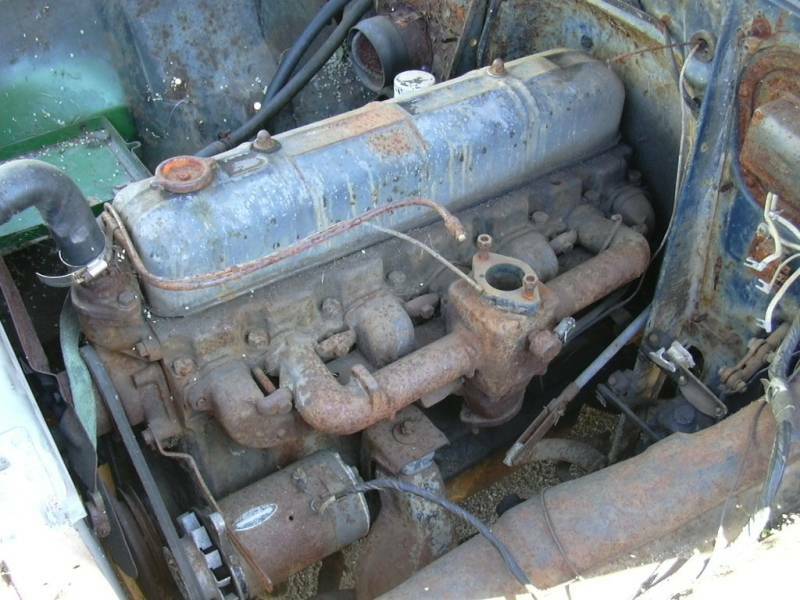 A new radiator core, fuel pump, seat covers, and tires; rebuilt water pump, vacuum wiper motor, and generator; flushing out the gas tank (the old Ethyl gas in it looked and smelled like Delaware Punch). 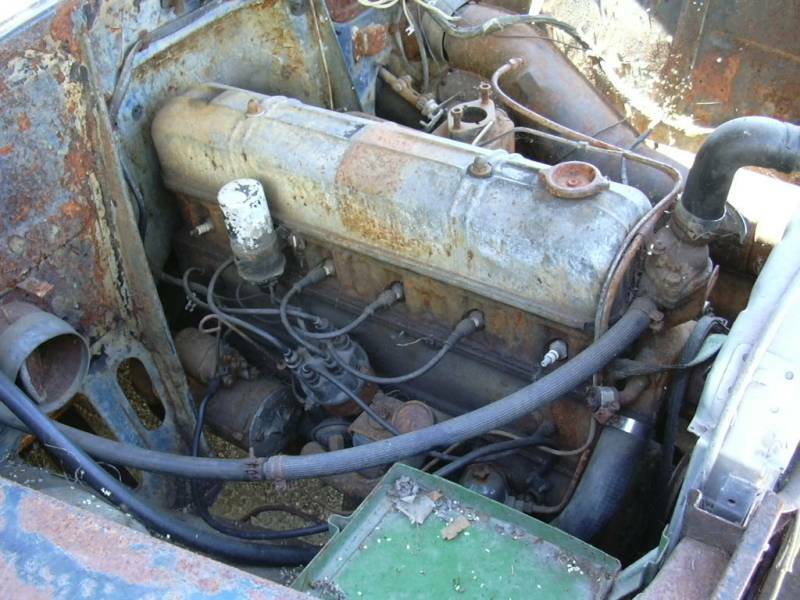 The piston rings were dried and stuck which required lots of oil squirted into the cylinders and cranking until they broke free and compression was possible. After that, the 235 would start right up. When it was finally ready for him to take delivery in 2004, my cousin drove it 350 miles to its new home in College Station without a problem. 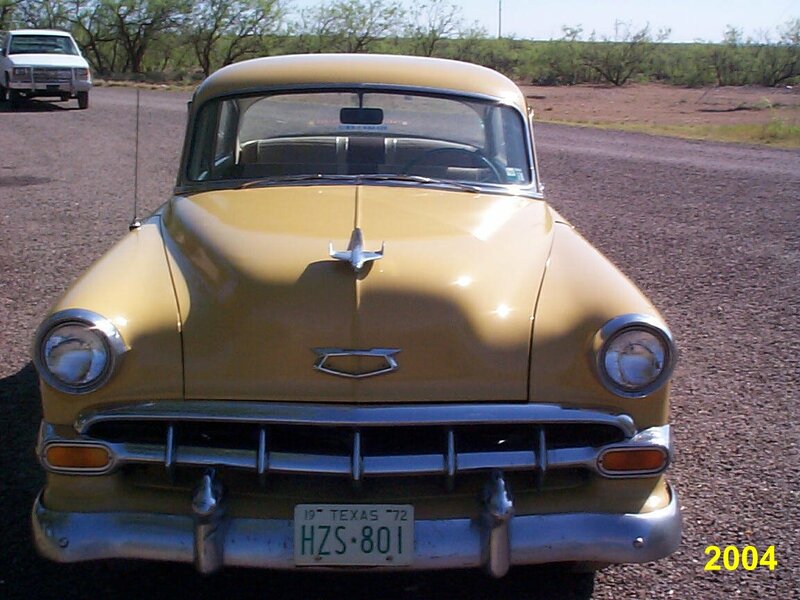 Once again, "Old Paint" lives on as a school car, driving my cousin 15 miles to the classes he teaches at Texas A&M several times a week. She's worn around the edges, but the old gal is still in the family after 37 years! All she needed was some T.L.C. and regular use and now she is back to turning heads wherever she goes! We received an email from Ivan Yanson in Moscow Russia. He was trying to get help from us identifying the car in the photos below. Hello, my name is Tony Everaert Jr. I was born in 1970. I now live in Kaprijke Belgium. But, in November we are going to move to Bassevelde. 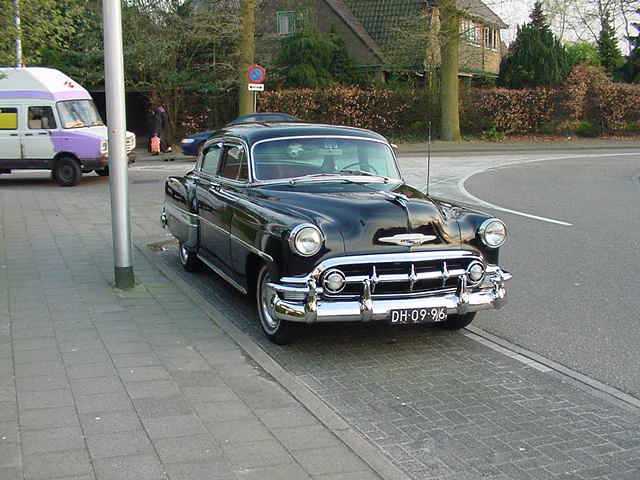 My 1953 was assembled at the GM plant of Antwerp. 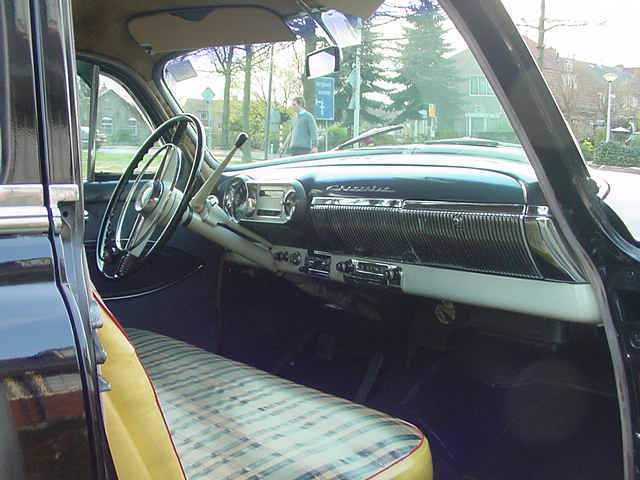 GM Continental (now called Opel Belgium). I have had the car for about 6 years now. 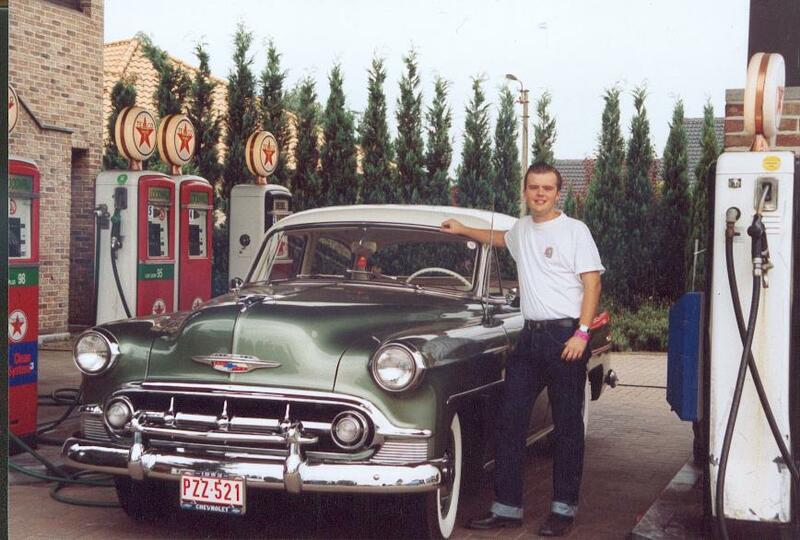 Since then, I have been in touch with other '53 and '54 Chevrolet owners over the world. Attached is a photo of me and my fifty three bowtie. 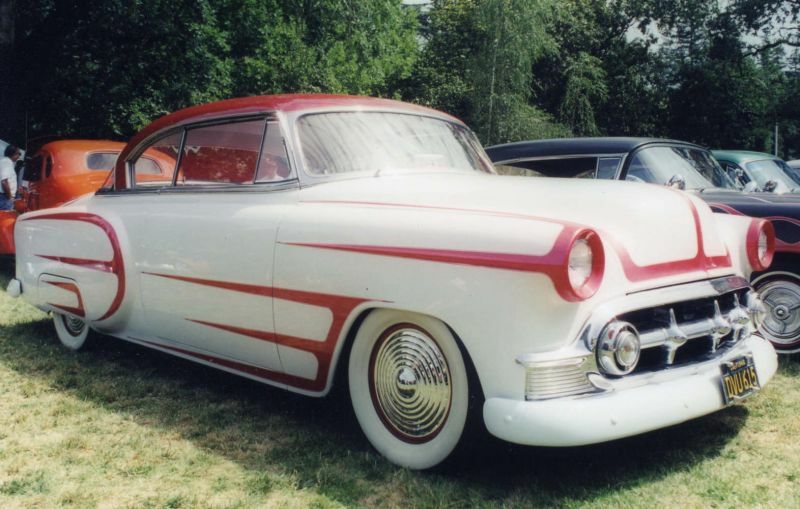 Next to my interest in old American cars, I am a big fan of Rockabilly music. Thank you. 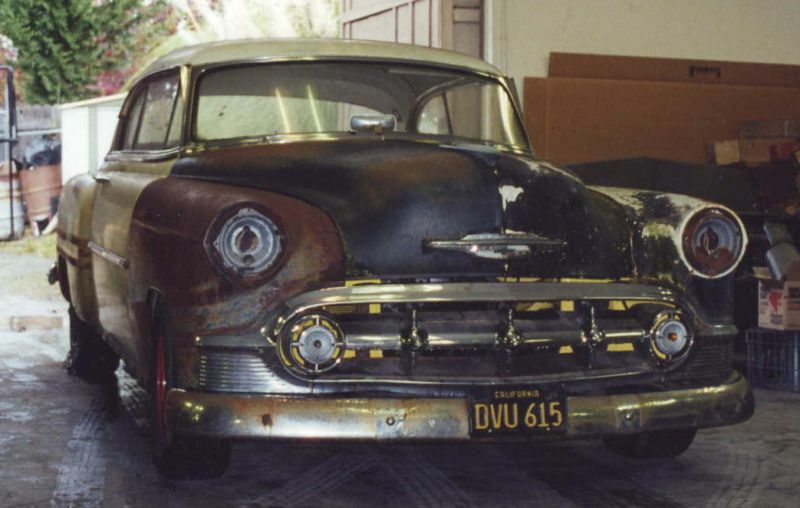 This 1953 Chevrolet was was bound for the crusher when Chuck saved it. 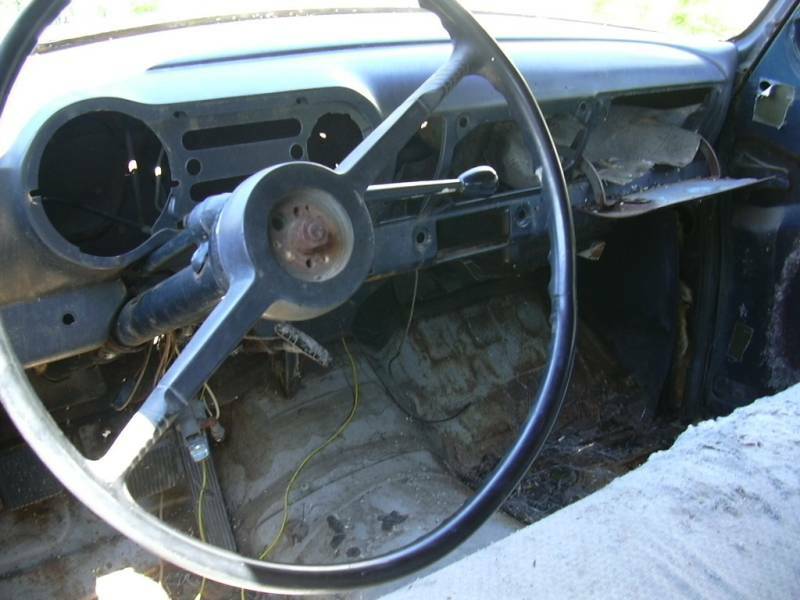 He drove it for over a year in rough condition. 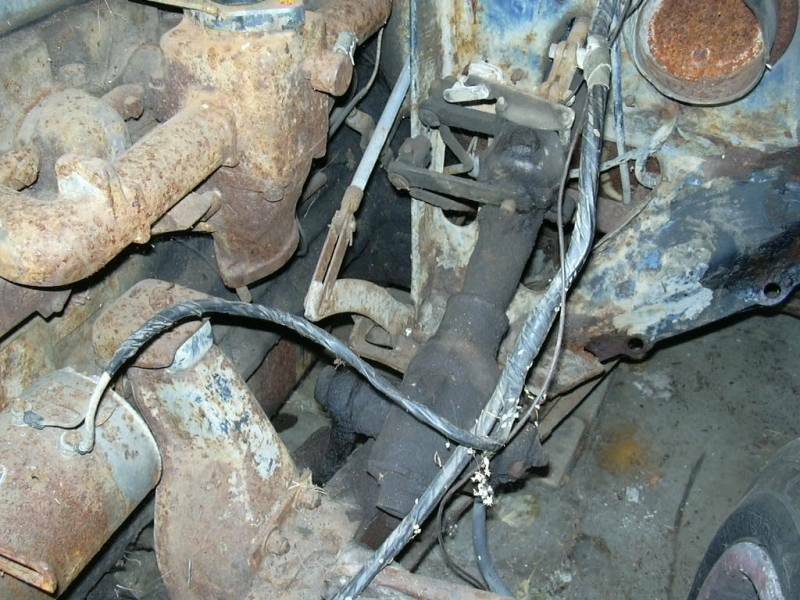 It was mechanically sound but very rusty and banged up, with lots of parts missing. Chuck installed a Camero front clip, Camero rear posi, and a .308 ratio, disc brakes, power steering, a 250 in-line six with a turbo 350. It took him 6 months total to build once all of the parts were obtained. Very nice job Chuck. Way to go! 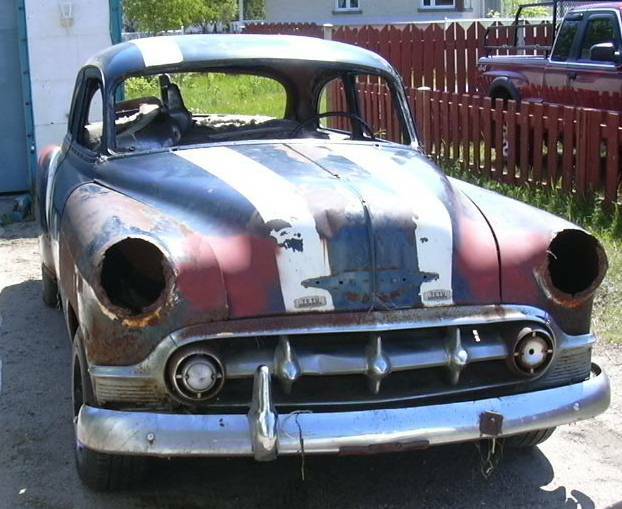 From Chute-aux-Outardes, Quebec Canada: Jason's project car is of his 1953 Chevrolet Bel Air 150 Sedan. 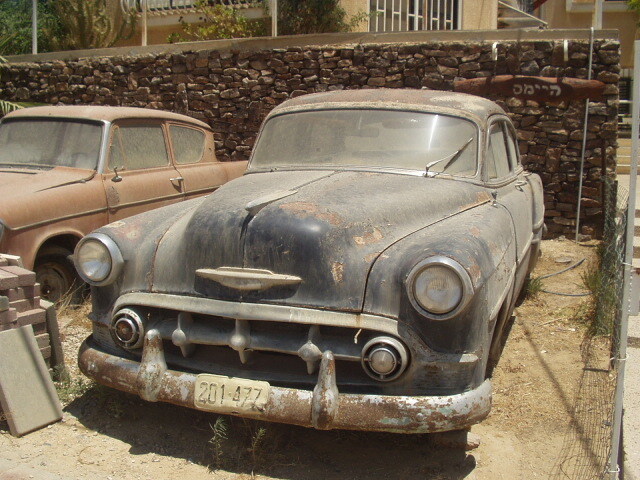 The pictures are on the un-restored car. 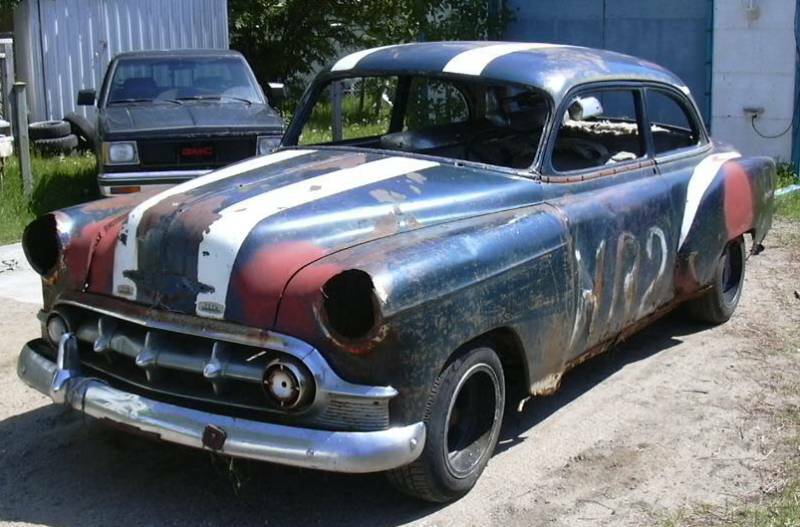 He is restoring this car and is not quite sure yet if he will built a hot rod or keep it original. In either case, he said that he would send updated pictures in for us all to enjoy. 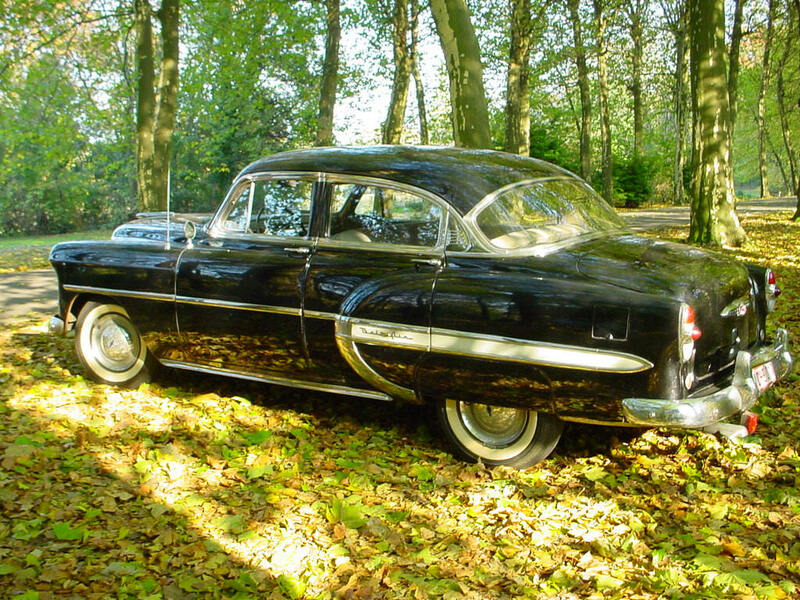 There still seems to be a nice supply of Chevy's in Europe. 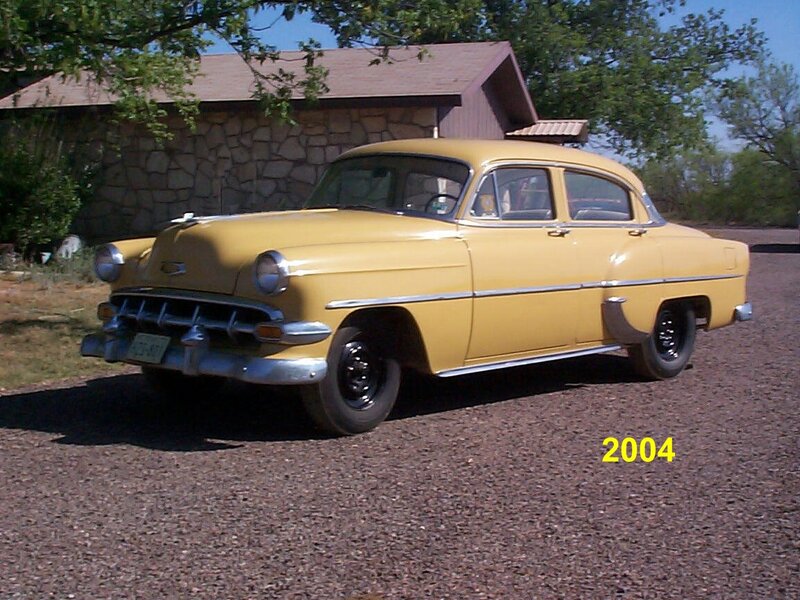 Paul sent us these great looking photos of his newly acquired Bel-Air in original condition with fresh paint. 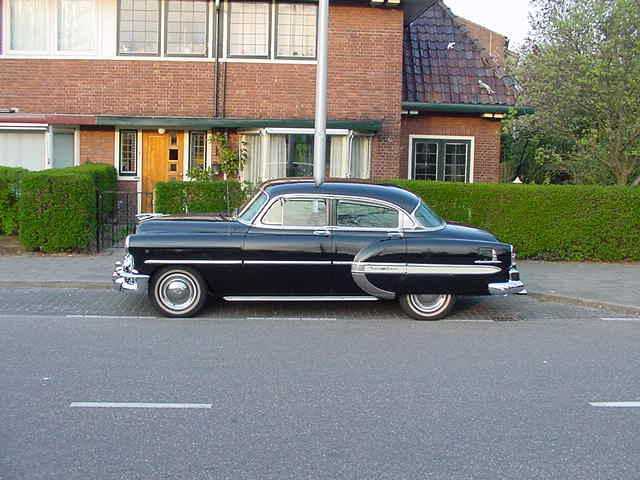 Here is another beautiful looking 4-door Bel-Air that was just purchased by Peter who lives in Leopoldsburg just north of Belgium. These nice pictures were taken by the previous owner who lived in Amersfoort Holland. 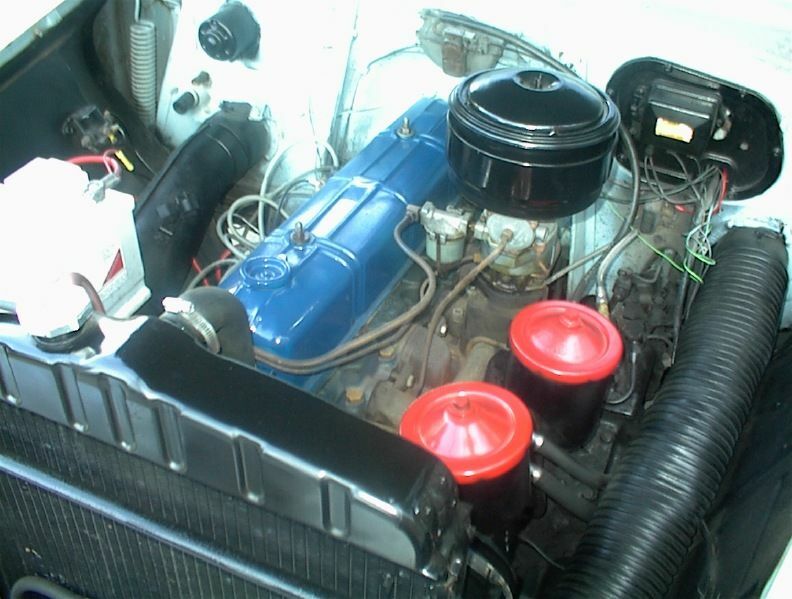 Larry is painting this Chevy and adding rack and pinion power steering. Stand by for some pictures of that when Larry is done. 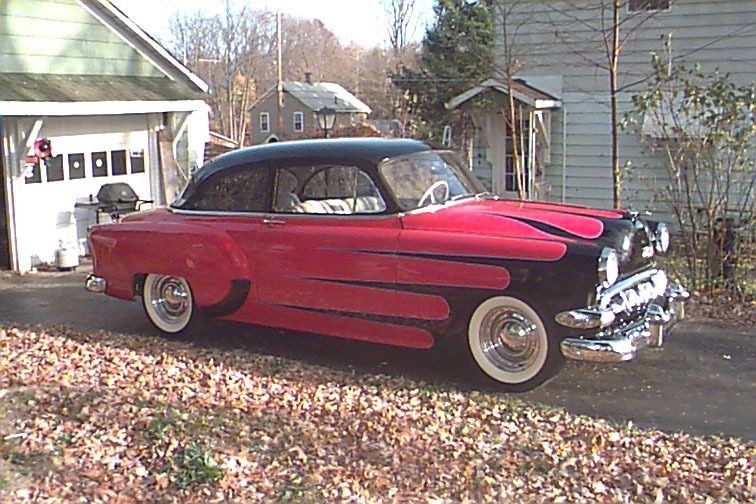 Larry is painting his 53, he will send us some more pics when he is done. 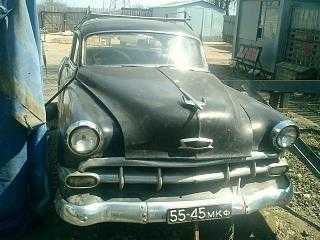 Amizur contacted us from Israel and is trying to restore this 1953, 4-door Bel-Air. 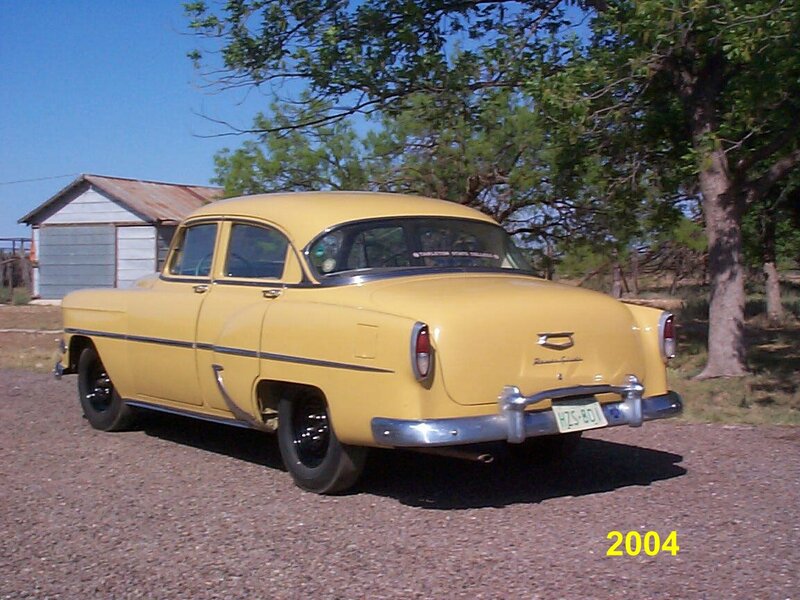 This 1953 Chevrolet 210 2 Door Sedan belongs to Frank Tino of Cresskill, NJ. 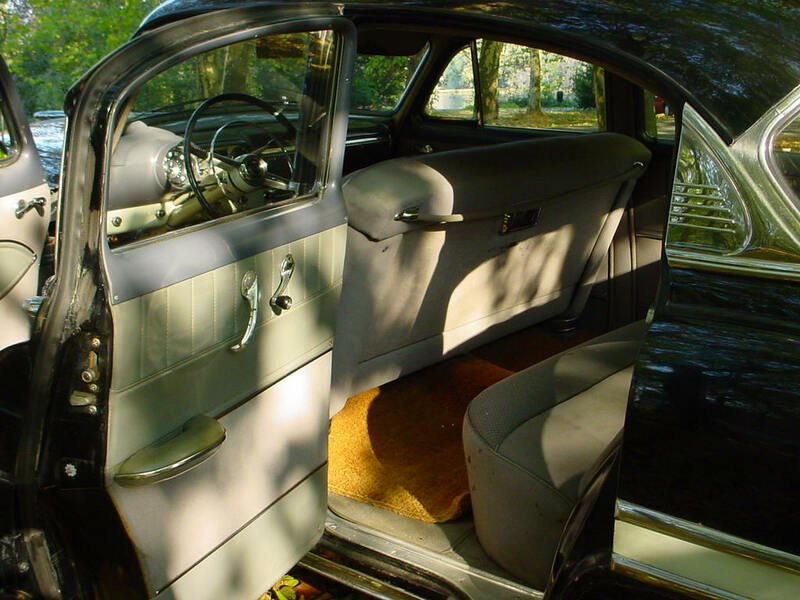 It was purchased from the prior owner in 1989 and restored to present #2-3 condition in 1990. 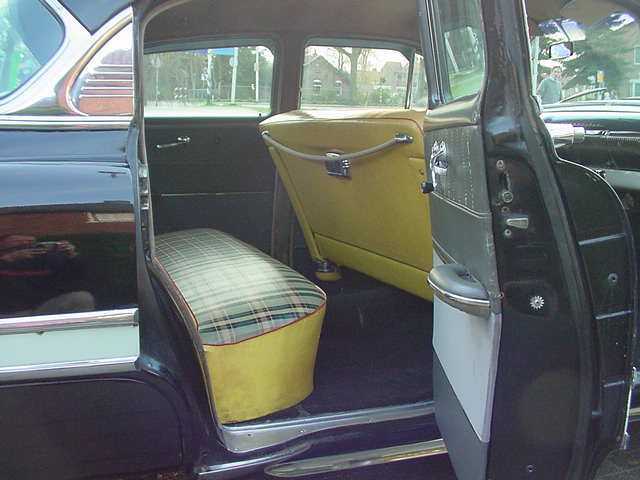 It is used for parades, ice cream runs, cruise nights, car shows and Sunday drives. 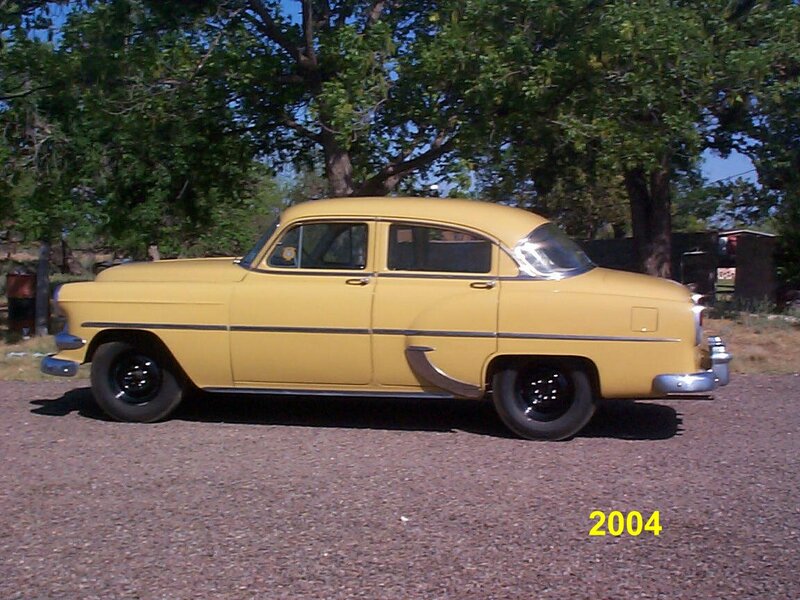 It is equipped with a Power-Glide transmission and original 6 volt system. 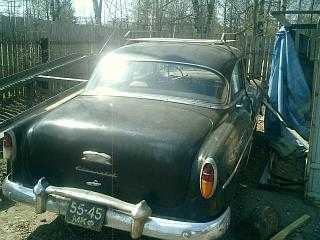 Peter Sandjford's beautiful '53 Sport Coupe from Katrineholm, Sweden. Great picture of the car and the beautiful Swedish country side. Peter's home town of Katrineholm is located 80 miles SW of Stockholm. This car is a real beauty inside and out. Hi, My name is Hollis and I live in Tampa, Florida. I bought this car a few months ago off e-bay and drove it to Georgia to pick it up. Since this picture, I have repainted the rims gloss black and mounted 3" wide whites on them. Future plans are for some mild custom mods. 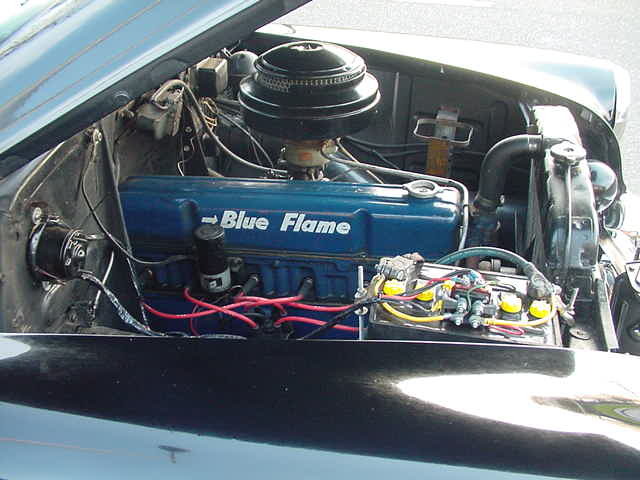 The car runs a straight 6 and a standard 3 speed. I converted it to 12 volt using an alternator because my regulator wasn't doing its job. 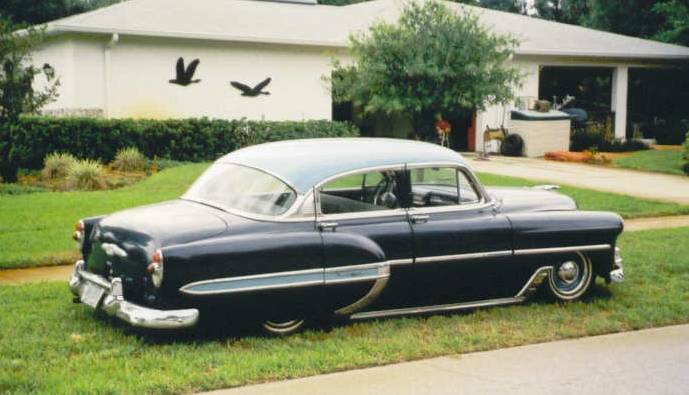 This 53 is my daily driver and I get positive comments on it everyday. From Tampa Florida. This beautity was converted to 12 volts. I can't recall where this picture came from. I believe it came off the web. 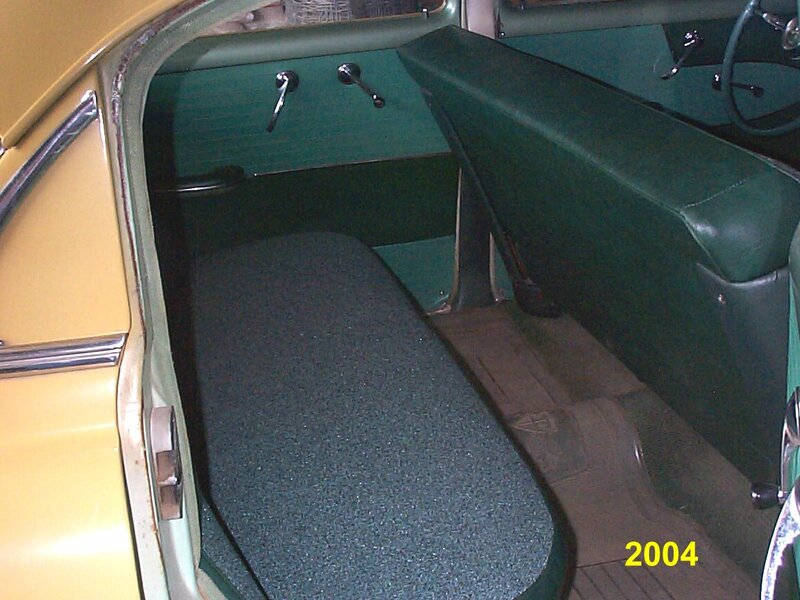 This shows how the power steering would look on the 1953 Chevrolets. A rare item indeed.